When Keisha and I met we immediately connected. She is this tall, beautiful and radiant woman and I was immediately in love with her. 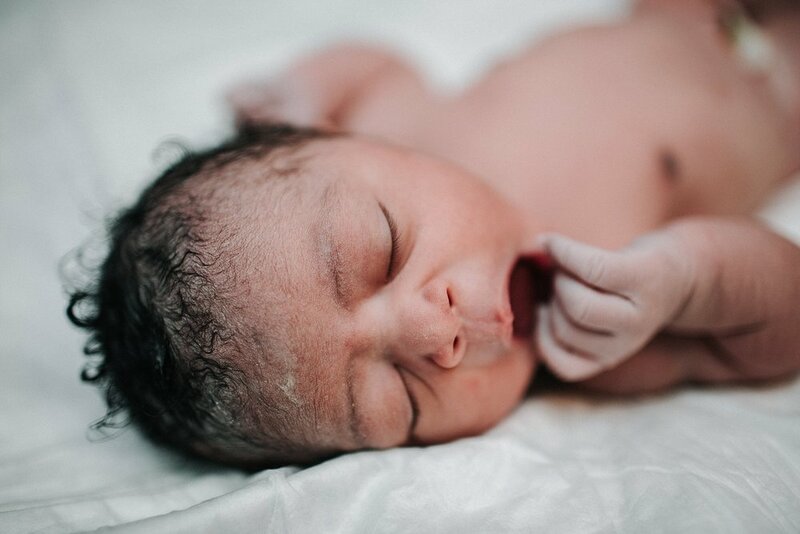 We bonded over jokes and birth and I was ecstatic to be the one with the honor of documenting her amazing birth for her. 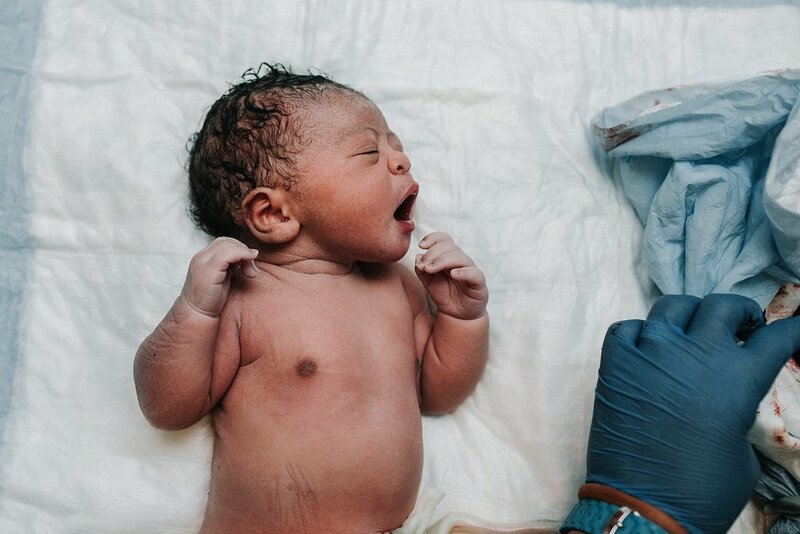 Zuri was due on February 24th, but that did not stop her from coming 2 weeks early on February 11th. On February 10th Keisha text me that she was feeling crampy/some contractions for a few hours and wanted to give me a heads up. She wasn't sure if this was prodromal labor or the real deal but she said she would keep me posted through the day. I joked with her that Zuri would be nicknamed triple treat if she came that night. [It was a full moon, lunar eclipse AND a comet]. We laughed about it and she said she would keep me posted. Around that time I checked in with one of my favorite birth groups to joke about how the triple treat would make all the moms go into labor at once and we got a good laugh out of it. At 3:10 PM I texted Keisha to see how things were going. She mentioned she was still contracting irregularly and that the contractions were lasting around 30 second and 5-15 minutes apart. I made sure my mom would be able to watch the kids and she agreed to let them spend the night after Ava went to cheer. I let Matty, my husband know and we decided that if Keisha didn't go into labor we would go see John Wick. Keisha checked back in around 7 letting me know that things were starting to really progress and that she was going to ask Amanda, her doula, to come soon. She said the contractions are more intense, close together (2-3 minutes) but still about 30 seconds long. She was going to get in the bath to try to relax and said she would check back in when Amanda got there. I mentioned that if she is no longer able to walk or talk through contractions thats a good indicator that active labor may be beginning and I would probably come soon. She said thats how she was feeling but wanted to wait for Amanda. Things went silent for almost two hours when Amanda finally checked in with me. By this time, I was on my way to the tattoo shop my husband works at since it was 15 minutes away and I lived 40 minutes away just in case. Amanda and I chatted a little bit about Keisha's progression, she said it was hard to say if she was in active labor but she would keep me posted. She also let me know there were cookies, and they were DELICIOUS. Around 9:45 I checked in with Amanda to see how things were going and she mentioned they were jamming to Incubus and trying to get the contractions going. A few minutes later she stated the contraction pattern was changing and I assumed they were spacing out so Matty and i decided to head home. The exact moment I parked Amanda said Keisha started throwing up and transition was beginning so I should head over. I arrived at 11:15pm and started taking some pictures. Keisha was on the birth ball, Amanda behind her, James in front of her with a rebozo wrapped around his shoulders. She was contracting but wasn't making too much noise. She powered through each contraction with James there as support no matter what. She would lean forward into James as she endured each contraction and would lean back into Amanda as they would fizzle out. They were quite the team. 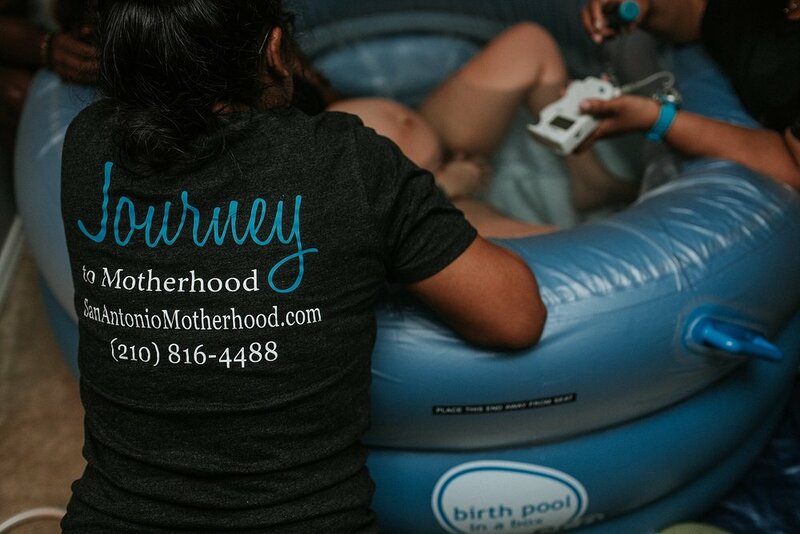 Eventually Keisha began asking for Nikki, her midwife, to arrive and wanted to get into the pool. She stood up and labored over her bed for a little bit of time before Nikki arrived. 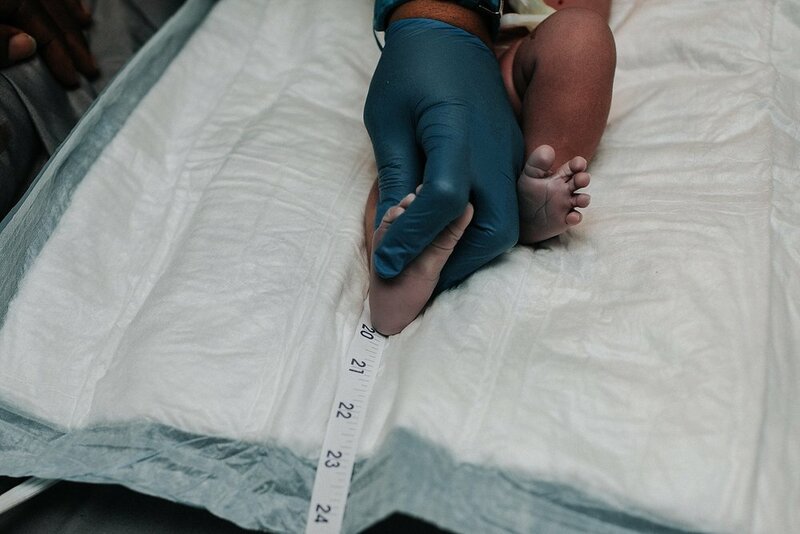 When Nikki arrived she checked her and was a full 10cm dilated. They began filling the pool so Keisha could deliver Zuri in it. Keisha asked about how long it could take for Zuri to actually home. Nikki said it could be two hours, but probably wouldn't, she just wanted to be on the safe side. Keisha labored leaning forward with James putting counter pressure on her back while Amanda supported her grasp. During this time, the water started getting a little too cool, so James had to go adjust the water heater while Keisha labored in her bathroom while they took out some water. Once the water was back up Keisha was able to get back into the water and they began filling it up again with hot water. At one point, James tried to swish the hot water to evenly distribute it and Keisha asked him to stop because she was getting sea sick. 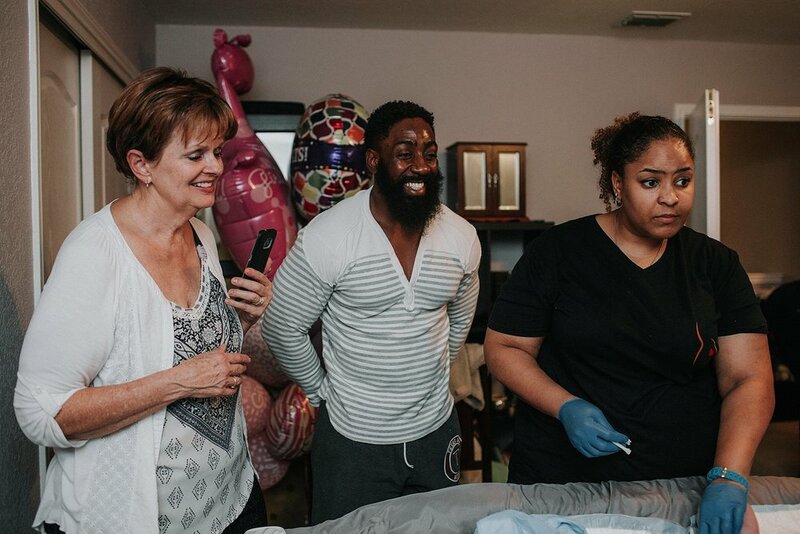 Nikki asked Keisha to labor in the bathroom again so Keisha got out and James supported her in the bathroom while Amanda continued to monitor the water temperature. Keisha was adamant about giving birth to Zuri in the pool so she headed back in. Nikki asked James to get in with her to support her in the pool because Zuri was about to be here. 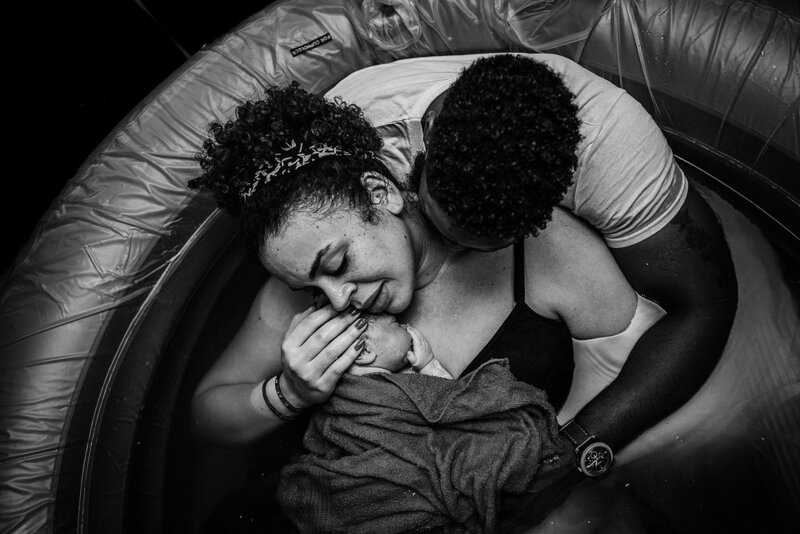 Keisha pushed for a little bit in the pool and at 1:11AM on February 11th Zuri Lee was born into her mother and fathers loving arms. Keisha cried with joy and a HUGE smile came across her face as she brought Zuri to her chest. You could see the pride on James face as he kissed Keisha and inspected his new daughter. 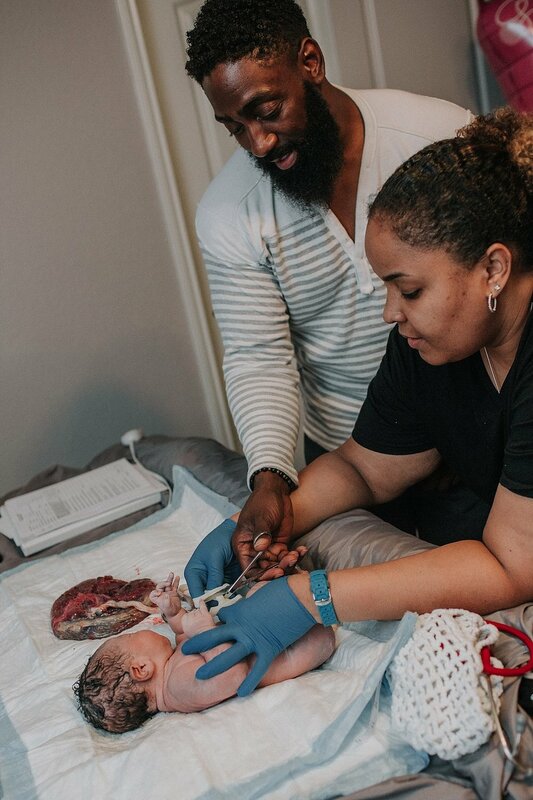 Shortly after Zuri was born, Keisha and James exited the pool and headed to bed so she could deliver her placenta, begin nursing and do Zuri's newborn exam. Zuri is perfect in every way and looked so much like mom. Everyone was so happy to see this beautiful girl and you could tell how in love both Keisha and James were. It was beautiful.